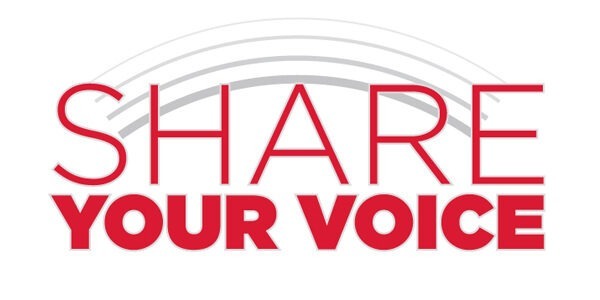 Northern Illinois University has released the results of the Sexual Harassment, Assault and Relationship Experience (SHARE) Survey, a comprehensive survey gauging the experiences and perceptions concerning issues of sexual assault and misconduct at the university. The SHARE survey was provided to all NIU undergraduate, graduate and law students via an open link in the spring of 2018. While more than 1,500 students initiated the anonymous survey, 911 students completed it, which is an increase over the number of survey participants in 2016. “It is imperative for us to obtain information directly from our students regarding sexual misconduct and perceptions of campus safety and culture,” Monique Bernoudy, assistant vice president, Office of Academic Diversity, Equity and Inclusion, said. The primary goal of the SHARE survey was to understand the climate and culture surrounding stalking, dating violence and sexual violence at the university. Students were asked about their direct experiences as well as their opinions on NIU’s practices related to providing resources, reporting and addressing instances of misconduct. The majority of students – 68 percent – indicated that they believe NIU takes proper action to address factors that have led to sexual misconduct. In addition, a majority of respondents agreed that the university does not tolerate a culture of sexual misconduct and indicated that they have received information from the university on the topic. Continued engagement includes providing educational opportunities for faculty, staff and students. For example, a recent partnership with Chicago-based Howard Brown Health, an organization that aims to eliminate the disparities in healthcare experienced by the LGBTQ+ community through research, education and the provision of services, will include campus-wide training for NIU staff members who work with LGBTQ+ students and are responsible for campus policies and practices. Also, NIU’s recent award of a $300,000 U.S. Department of Justice grant to reduce sexual violence allows the university to augment current violence prevention efforts as well as enhance advocacy services available for NIU underserved and marginalized students. “NIU students remain our primary focus and our goal is to use the survey results to ensure we provide practices that afford our students the support necessary for them to achieve academic, personal and career success,” Bernoudy said. The survey results provide an important benchmark that will allow the university to measure change over time as NIU continues its efforts to enhance the safety and well-being of all students. Bernoudy shared the results of the survey with the campus community on Nov. 15 during a presentation at the Holmes Student Center. In an effort to better coordinate large-scale campus surveys and develop a collective narrative that speaks to the NIU student experience, a diverse team of staff from Student Affairs, the Office of Academic Diversity, Equity and Inclusion, the Office of Undergraduate Studies and the Office of Institutional Effectiveness have developed a strategy for analyzing and sharing survey outcomes with the campus community. On February 7, 2019, Renique Kersh, associate vice provost for student engagement and success, will share the results from the National Survey of Student Engagement. All large-scale campus-wide survey results will ultimately be collated into an annual report that will be shared with the campus community and will provide recommendations for continuous improvement. More details about the February 7 presentation and the final report will be forthcoming.